In 2013, inspired by The Books that Mattered by Frye Gaillard, I blogged about books from my childhood with the intent of adding to it every few months. It turned into more like two and a half years, but here’s the next entry in my personal books that mattered series. Fourth grade. Scholastic Book Fair. What book lover doesn’t remember the thrill of the book fair? So many books, so many choices, so many exciting erasers and pencils and posters! I’d never heard of C.S. 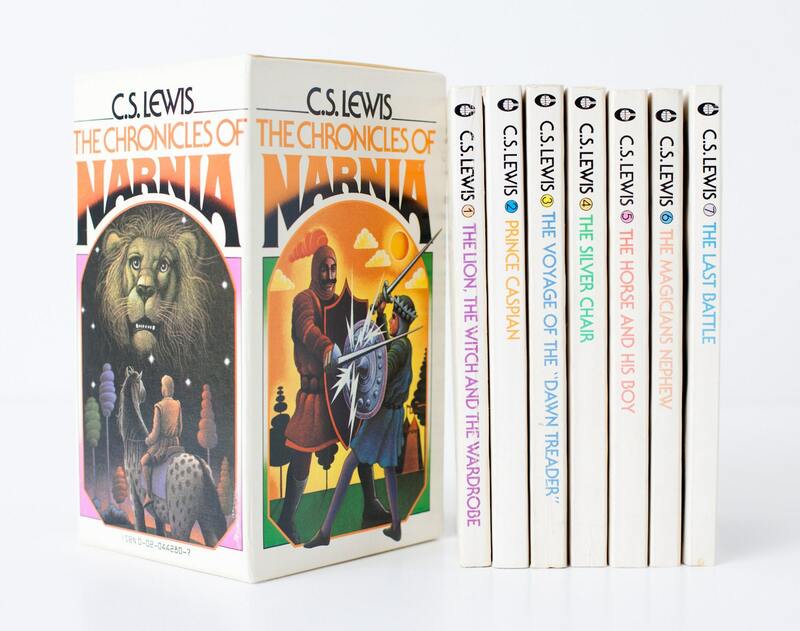 Lewis or the Narnia books. Had no idea what they were about. But I saw them at the book fair, a beautiful boxed set. Oh, the perfection of them. Problem: it was something like $20 whole dollars to buy the set. More than my parents had given me to spend. So I did what every kid does during book fair–I went home and begged for more money. I promised I would read and reread them until they fell apart. I described their beauty and how dreadful my life would be without them. What parent can truly say no to more books? But there was a catch. I had to use my own money, my carefully saved $1 or so per week my dad called “good” money, to buy them. That’s what money’s for, my mom told me, you save it for something you really want. It was a test. Did I really want these books? Oh yes, I did. Owning them was as glorious as I’d imagined. I read them all, then read them again. I became convinced I was the only person to have every figured out the Christian symbolism embedded in the books. I became convinced Narnia was real, and that if only we had wardrobes in America like they did in England, I, too, could go there. My whole world was transformed by the idea that there was a secret, magical other world that only kids could access. Loving one series led to love of many others. The Black Stallion series by Walter Farley was perfect for a girl growing up in Norco, CA with her own pony. My favorite was the one pictured below, The Black Stallion and the Girl, where Alex falls for a girl who can’t be tied down. She moves on at the end of the book, breaking his heart. It was the most romantic thing I’d read since Cinderella. 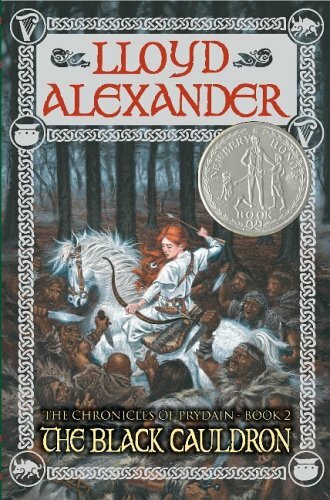 I was so obsessed with The Prydain Chronicles by Lloyd Alexander that I made my mom read them, too, and we would joke about needing our “munchings and crunchings” every day. Series books are magical, whether fantasy based or not, because they bring you into a singular world and with each installment of the series, bring you closer to the interesting characters and deeper into the intricacies of the fictional world. When I love a book deeply, the saddest part is always the last page. The best part about series books is that it’s never truly over. One chapter of the story has ended, but there’s always more to come. Ah, but don’t all series eventually end? Technically, yes. In my imagination, though, by the end of the series I know the characters and world so well, that I continue the adventures in my mind. Maybe this is how I became a writer, falling asleep at night, spinning out fan fiction in my head until the stories I loved became part of my very dreams.